Back in 2012, Carli Lloyd made her mark at Wembley when she scored both goals in the U.S.’s 2–1 win over Japan in the Olympic gold medal match. 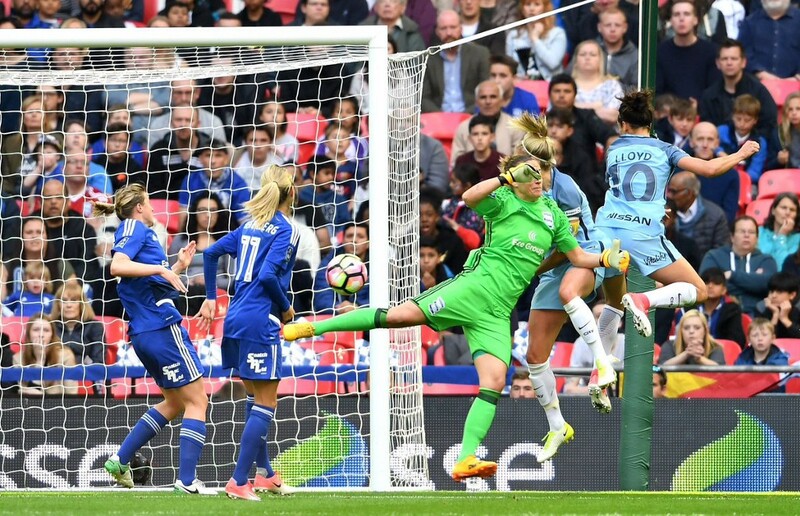 On Saturday, she returned to Wembley with Manchester City to face Birmingham in the Women’s FA Cup final and once again she found the back of the net. With City already up 2–0 at the half-hour mark after goals from Lucy Bronze and Izzy Christiansen, Lloyd jumped out of her boots to head in a spectacular ball from Megan Campbell to make it 3–0. 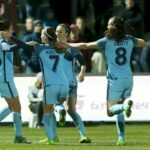 City went on to win their first Women’s FA Cup 4–1. Despite losing the Champions League semifinals to Lyon and Alex Morgan, City have now won the three trophies in the last nine months with last season’s WSL title and the Continental Cup. Lloyd’s loan spell with the club will end at the conclusion of the WSL Spring Series, which wraps up on June 3. So she still has another chance to add to her trophy haul before returning to the Houston Dash and the NWSL. Given Lloyd’s track record, Manchester City might want to look into playing the rest of their matches at Wembley.